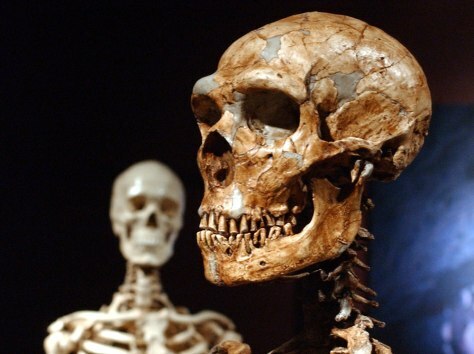 Did climate change kill off Neanderthals? A reconstructed Neanderthal skeleton, right, and a modern human version of a skeleton, left, on display at the Museum of Natural History in New York. Scientists say they have evidence to back climate change as the main culprit in Neanderthal extinction.